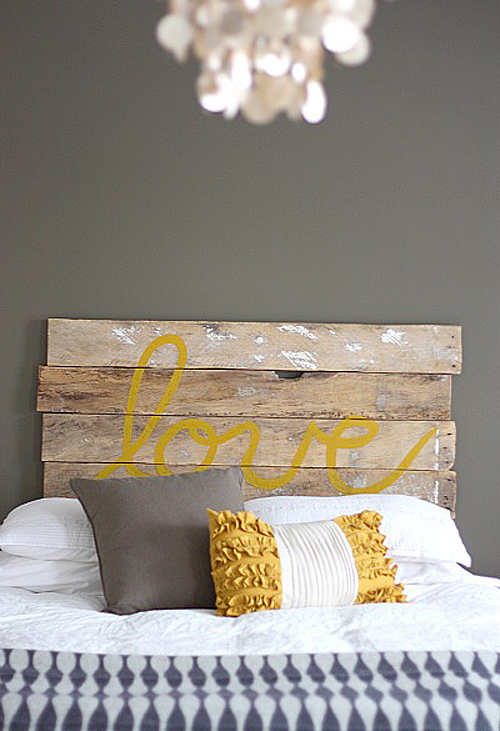 This very original love headboard is easy to make! Just follow the instructions which you can find on House*Tweaking. so easy, and yet so lovely! That is unbelieveably super fantastic!! love this sooo much! just love it.. it would be a great gift also. So simple, yet so sweet! Love it, and I’m absolutly in love with your blog. Love it! The yellow looks great! love anything that is made from re-claimed wood. as well as anything recycled. LOVE the headboard, and any ideas where I could find that blanket at the end of the bed? I am so in love with it too.